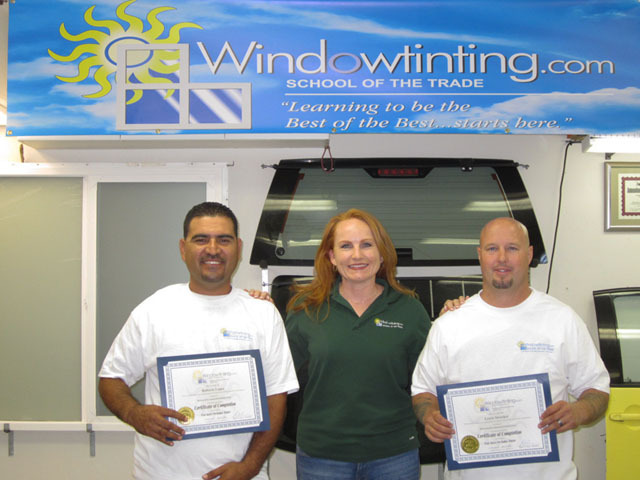 After being so successful with the auto training I received a few months ago, I just had to return and take the 1-Day Flat Glass Tinting course to really benefit from all facets of this trade. Jaymi was a great instructor, I personally liked the way she took the time to explain everything in such detail…GREAT CLASS! Jaymi was a great teacher! She went over all the steps thoroughly and very professionally as well. I'm very glad I stayed for the 1-Day Flat Glass!